We are a new company, but one with decades of experience working in the Microsoft Dynamics NAV and Navision world. We are all about making working with reports easy. Traditional reports printed on paper, PDF reports that can be saved and/or emailed, and PDF reports that are simply previewed on your screen. When it comes to converting, maintaining and developing reports for Microsoft Dynamics NAV, we are totally committed to giving Microsoft Dynamics NAV partners and customers the fastest and easiest experience possible. Nothing more, nothing less. This is not just another generic reporting tool; our solution is designed and developed for ERP. It supports the specific characteristics of an ERP solution, such as transports, group totals, headers/footers, special forms and much more, making everything work smoothly. Focus on engineering and management. Michael brings with him 30 years of experience in the global IT industry, primarily focused on Research and Development of large-scale ERP systems. Work history: Having worked for 28 years at Microsoft and Navision (acquired by Microsoft in 2002), Michael is, among other things, the father of C/AL and C/SIDE. For the last five years, he has been a director of engineering, responsible for moving Microsoft Dynamics NAV from on-premises to a cloud solution and from a Windows user interface to app-on-device. Education: Michael has an MSc. in Electrical Engineering from the Technical University of Denmark and holds several diplomas from Harvard Business School executive education within the areas of innovation, leadership and marketing. Specialties: Engineering, product strategy, scalable software architectures, leadership, recruiting, agile development and governance. Focus on online sales, software distribution and management. Jacob has more than 25 years of experience as an entrepreneur in the tech industry, primarily focused on software architecture and the global online marketplace. Work history: The man behind software such as the Bullzip PDF Printer and an array of NAV tools, Jacob has developed software used by millions around the world. Jacob’s experience includes working for Navision Software and a Microsoft Dynamics ISV. Education: Jacob has an MSc. in Electrical Engineering from the Technical University of Denmark. Specialties: Software development, business automation, channel building, online marketing, content distribution, global e-commerce. Focus on sales, marketing and management. 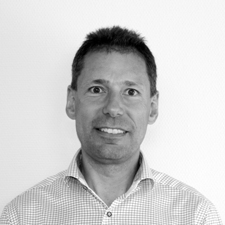 Jan has 25+ years’ experience in the Danish and Global IT industry, primarily focused on ERP systems and solution sales. Work history: For the last six years, Jan has been running his own business, 1step2win, which helped businesses grow and expand internationally. Prior to that, Jan was the Director of Microsoft Dynamics NAV Global Product Management, where he was responsible for the global Microsoft Dynamics NAV business, sold in more than 40 countries, with around 100,000 customers. He worked for almost 16 years for Microsoft and Navision. Education: Jan has a diploma in business administration from Copenhagen Business School, one year of law school from the University of Copenhagen, and a Managing ICT Software & Services Strategically (MITS) Diploma Program from CBS-SIMI, Copenhagen. Specialties: Sales, marketing, strategy, channel management, product management, coaching, business development. Focus on evangelism and training. Mark has been working with Dynamics NAV for 20 years, focusing on development excellence and customer satisfaction. Work history: After being introduced to Navision as a bookkeeper, Mark decided to switch his career to IT. He worked as a developer, consultant, product manager and head of R&D for Dynamics NAV partners. In 2006, he decided to start his own business after receiving the MVP award from Microsoft. As an MVP, he has been a trusted advisor for Microsoft and was closely involved in the roadmap to extensions-driven development and the formal documentation of NAV Design Patterns. Education: Mark is a self-made man who started working after leaving school at the age of 18. He soon began pioneering with IT, which led to working with Dynamics NAV. As an entrepreneur, Mark has always searched for collaboration models based on the community. 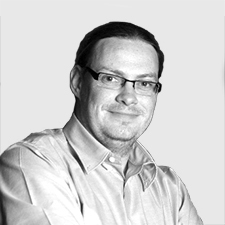 Mark has received the Microsoft MVP award 11 times and was one of the first NAVUG all-stars. Specialties: Evangelizing, training, product innovation and setting up communities. Mark has written a number of books on Dynamics NAV. Focus on business development. 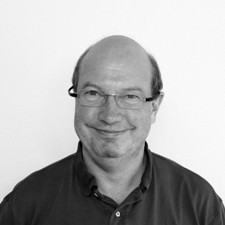 Mogens has more than 30 years of broad experience in the global IT and technology industry. 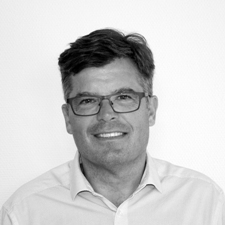 Work history: Mogens is the group CEO of Bluegarden, a leading Nordic supplier of solutions and services for payroll and HR. 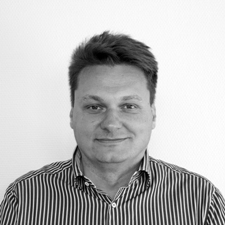 Prior to joining Bluegarden, Mogens headed up e-conomic A/S, a cloud-based bookkeeping solution for small businesses. After boosting organic growth and internationalizing the company, it was successfully sold to Norwegian-based Visma. Previously, Mogens was the CEO of GN Netcom, a global headset manufacturer of the Jabra brand. He led the successful turnaround of the business for five years. Mogens also served as the global General Manager of Microsoft Dynamics NAV, GP, AX, and SL Products for four years. Education: Mogens holds an MSc. in Engineering from the Technical University of Denmark and a B.A. in Marketing from Copenhagen Business School. Specialties: Strategy, sales and marketing, business development. Focus on management and software development and distribution. 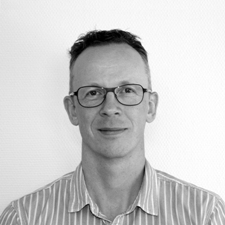 Richard has more than 20 years’ experience developing software, including vertical solutions, and building an international partner channel, all within the Microsoft Dynamics NAV Community. Work history: Richard is the CEO of the TRIMIT Group, and of TRIMIT. TRIMIT is a Danish ISV that developed a vertical solution for the Fashion & Furniture industry based on Microsoft Dynamics NAV, which is sold in 13 countries by 16 partners. Education: Richard holds a double BSc. in Mechanical Engineering within the area of Production Optimization and in Business Administration – from the University of Southern Denmark. Specialties: Entrepreneurship, product development & management, channel management and business development.